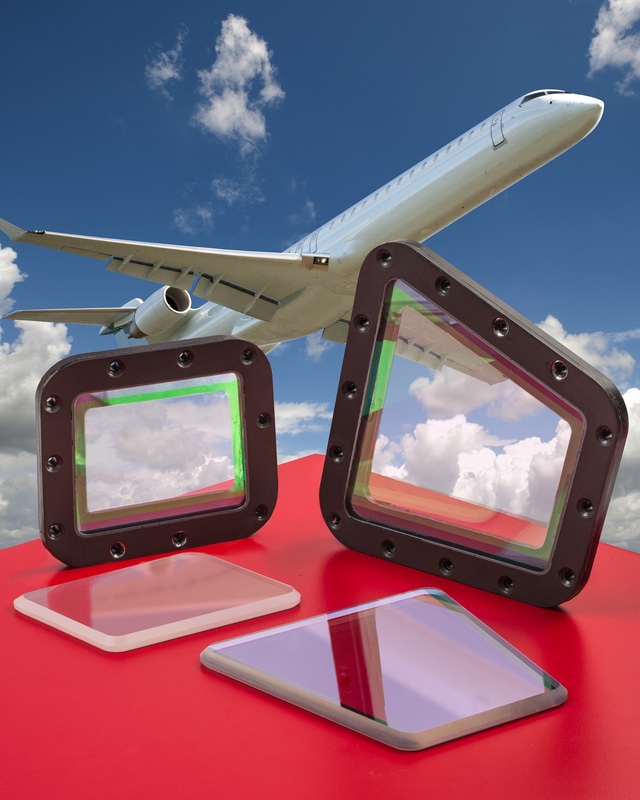 Custom fabricated sapphire windows for installation on the outboard of manned and unmanned aircraft and underwater vehicles to protect sensors and cameras have been introduced by Meller Optics, Inc. of Providence, RI. Meller Sapphire Windows are clear as glass and exhibit Moh 9 hardness which is second only to diamond, providing a protective surface for sensors and cameras that would be exposed to sand and other high speed particulates. They can be custom fabricated in different configurations and sizes up to 10” dia., depending upon the diameter to thickness aspect ratio. Featuring transmission from the UV to IR (270 nm to 4.7 microns), Meller Sapphire Windows offer flatness to 1/10th wave in the visible and < 2 arc sec. in/in. parallelism, with finishes from 60-40 to 40-20 scratch-dig, depending upon size and construction. Sapphire domes are also available for missiles and weaponry in military applications. Meller Sapphire Windows are priced according to configuration and quantity. Literature and price quotations are available upon request.